Always You is a contemporary romance novel by Inkspell Publishing and it just got released today! Use the rafflecopter below for a chance to win a digital copy of Always You by Shilpa Mudiganti! 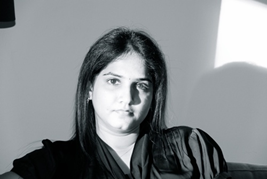 Shilpa M Mirza grew up making up stories in her head. Starting with innocent babbling, genre of her stories changed with lessons growing up teaches us all. She thought life would be all about her stories until she completed her technical degree. Security of an IT job lured her leaving her stories to continue brew up in her head. Yet soon she had to fall in step with what fate had planned for her and she penned her first romance novella, Always You to be published by Inkspell Publishing. There has been no looking back since then. Juggling her day job as an IT geek, she has penned down her pet project, an exciting fantasy story of lions and wolves which, to her utter delight, is going to see the light of the day early next year. She says you would fall in love with her wonderful hero and heroine. When she has time to breathe, she spends time blogging, connecting with her readers and spending time with her loving husband. She lives at Ridgefield Park, New Jersey. You can connect with her on Twitter (shilpammirza), and Facebook (Shilpa Mudiganti). I can not lie....I love the cover. If that's any indication, I'm already sold on the synopsis! I love a good romance! Hey Katrina, can you see me glowing? I am. i love the cover too. :p Thanks for stopping by! Yay! Thanks. I hope you enjoy the book whenever you get a chance to read. I think I would like to read this book because we have all been stuck in a rut, comfortable or not, at one time in our lives. It always does me good to read about someone else and how they managed to pick their head up and move on with life. That can be very difficult to do!